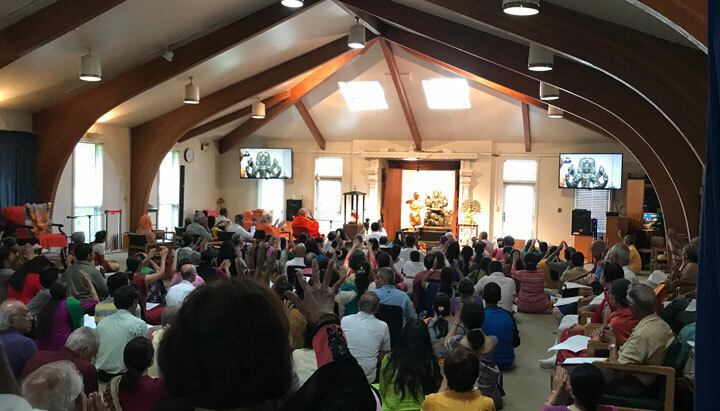 Last week the head Swami here flew to Chicago to offer a program and was returning to the airport at Newark, NJ, about 1-1/2 hrs away from here. His “right hand man” (Rajubhai) who normally drives him when he offers programs in this region was going to pick him up at the airport. To my surprise and delight, he invited me to go with him. Then he requested me to be the driver in his luxury car. He would be a passenger. Ok. I stretched into that. Then he let on that he wants me to get experience driving his car so that I can be a backup plan for driving Swami Viditatmananda whenever he (Rajubhai) is out of town. It was wonderful to have that much time in private with Swami V. He asked me how I ended up coming to Arsha Vidya Gurukulam. Well, my previous newsletter revealed that this question has a long answer, which I was happy to share with him during our 1-1/2 hr drive back to Arsha Vidya. They say most people like to talk about themselves. I notice that I’m no exception! LOL ; ) I also told him how I love to chant. He said that at his place in India (where he spends much of the year), they have kirtan chanting every Sunday night. He himself has recorded many chant CDs. I’m gonna ask him if he would lead kirtan here on some Sunday nights. That would be awesome! 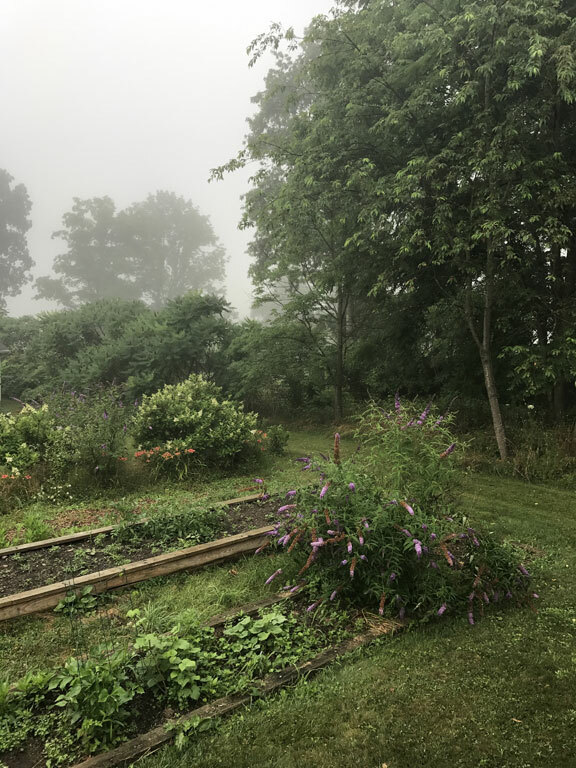 Meanwhile, I’ve been enjoying all the wildlife on the property here: rabbits, robins, cardinals, doves, chipmunks, squirrels, deer, hawks, frogs, and a ground hog! I’m enjoying my work (not that it’s challenge-free!). It seems like all the skills I’ve been developing through my home business at Mount Shasta are coming in handy here. Don’t just study books and hear lectures. Study yourself! Overcome anger by becoming alert. Catch it. Externalize it, as if it was someone elses. Externalization is the first step to liberation. Surrendering to God is a solution for grief and fear and attachment. But this surrender does not mean abandoning one’s duty or falling into inertia. It is very easy to worship a symbol, but are you really seeking the Reality? Giving up attachment to the fruits of actions is sadhana (spiritual practice). Focus on the means, not the end. To pass with honors in school, you’ll never get there without focusing on the current class and working on today’s homework. You can’t just focus on the result all the time.